Think again if you're thinking that appearance cannot uplift your self during a job interview. You could be the smartest person in the world, but if what you look doesn't impress the interviewer, you may have taken yourself out of the running. A first impression is often a final decision since you will be judge at first glance. As said, think again since your look is an expression of who you are and how you approach your work. It behooves you to put as much thought and effort into appearance as you do with your résumé or curriculum vitae. Bear in mind these great finds I hunted from Lazada.com.ph and tips or ideas on what to wear for a job interview to get an edge on the competition. The Blued Darlene Peacoat is more than a coat that keeps you dry and warm. It’s already a fashion item on its own. Wear it with skinny jeans, a striped top, and boots for a posh casual look. Pair it with slacks and heels for an elegant office ensemble. Elegant or edgy—it can do both. 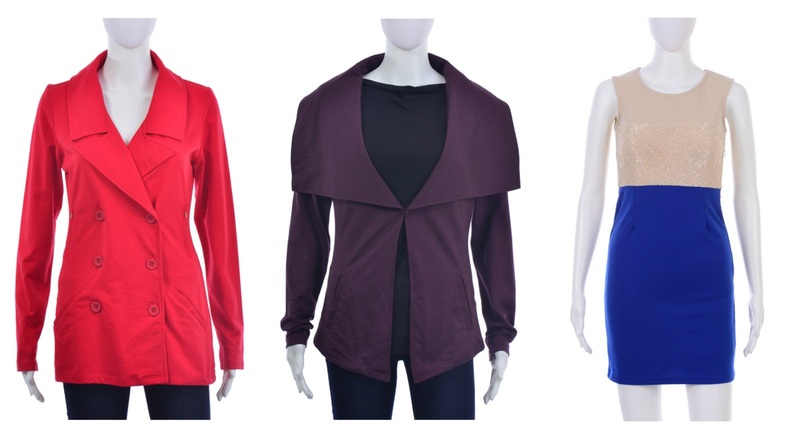 The Blued Cyrine Wide Collar Jacket is made from cotton-polyester fabric, making it a comfy piece of apparel to wear. Stand out with this stand-out fashion item. Whip up a trendy casual look; wear this coat with a long shirt and a pair of denims. Use it as a stylish cover for your office ensemble. Heels, flats, and boots—it looks well with them all. ok. Step out in style everyday with Maldita. 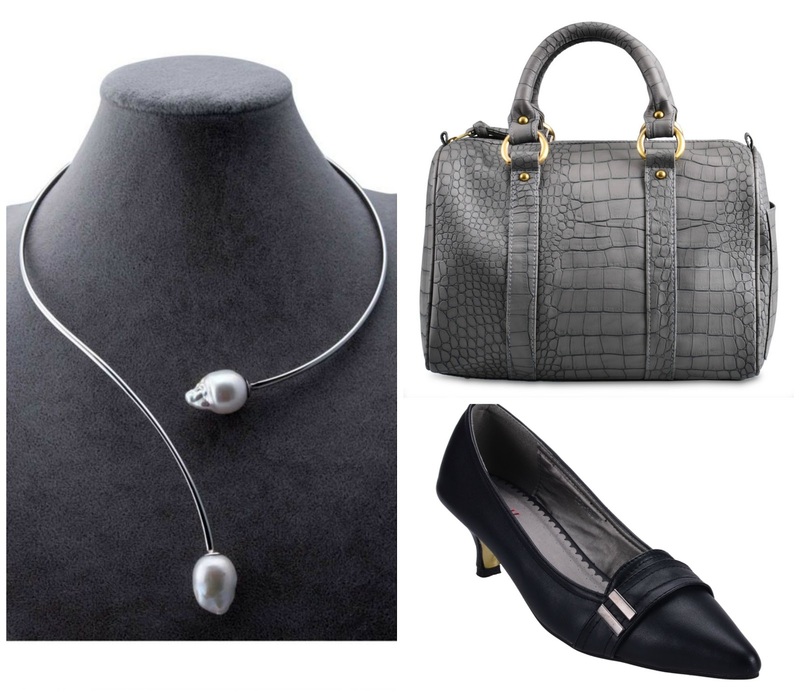 These 2 Fresh Water Baroque In Omega Style Necklace, S&H Lindsay Office Shoes (Black) and Bags in the City Speedy 30 (Gray) will complete your wardrobe, which also help you look simple yet elegant and sophisticated. This is just a simple guidepost and hope you like it and somehow learn something from it. Catch the second part of this post, but it would be for men. For more awesome fashion finds, visit Lazada.com.ph - The Philippines' Online Shopping Mall. Invest in a new interview outfit. Consult others if you're unsure with your clothes or don't know how to pick good clothes to wear. If you have lot of clothes in your closet, then better do the mix and match. Pay great attention to grooming – hair, nails, etc. Looking good will give your more confidence and self worth. It will carry your whole look as well. Don't wear anything uncomfortable that will make you feel self-conscious or distracted. This will affect your mindset, aura, everything. You'll end up ruining yourself. Look like someone who already works there. Doesn't mean you have to copy the whole look, just be as smart as what the company employees looks like. Do forget what you're wearing once you get in the room. You've done all the groundwork in looking great - now it's about telling them what you can do. These are just simple but smart things to wear for a job interview. Good luck!